UFC lightweight champion Khabib Nurmagomedov has been suspended for nine months and fined $500,000 by the Nevada State Athletic Commission for his role in a post-fight brawl after his win over Conor McGregor in October. McGregor was suspended six months and fined $50,000. Both sspensions are retroactive to Oct. 6. Nurmagomedov’s suspension can be reduced to six months if he “cooperates in the filming and distributing of an anti-bullying PSA.” Khabib defeated McGregor by submission in four rounds in October and subsequently jumped out of the cage and got into a fight with McGregor’s training partner, Dillon Danis. 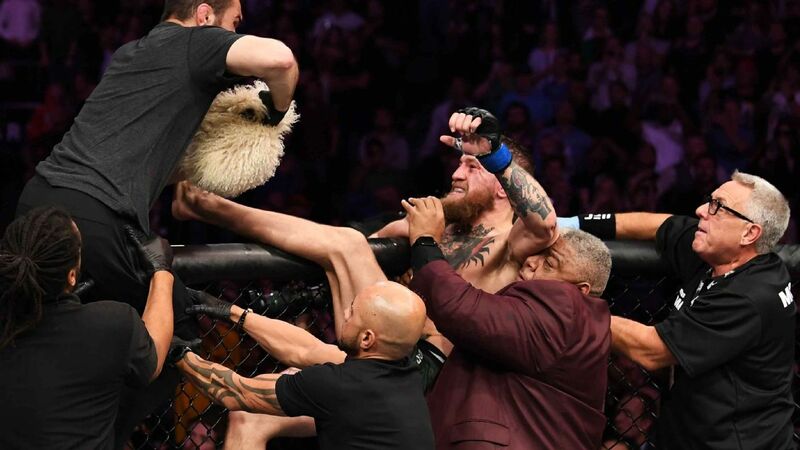 His actions then spurred more incidents in the ring where McGregor threw a punch at one of the men from Khabib’s corner and then he was hit with a sucker punch from another man. Nurmagomedov’s brother, Abubakar, has also been suspended one year for jumping into the cage after the fight. He was additionally fined $25,000.